Creating the ultimate patio space is a spring and summer must, but doing it on a budget can be tough. Luckily, there are plenty of expert design ideas you can employ to keep costs down and warm weather hangout vibes strong. And Furniture Fair is a great place to get started. Here, we bring you our six favorite patio design hacks for any budget. You’ll be ready to host the next barbecue in no time! 1. 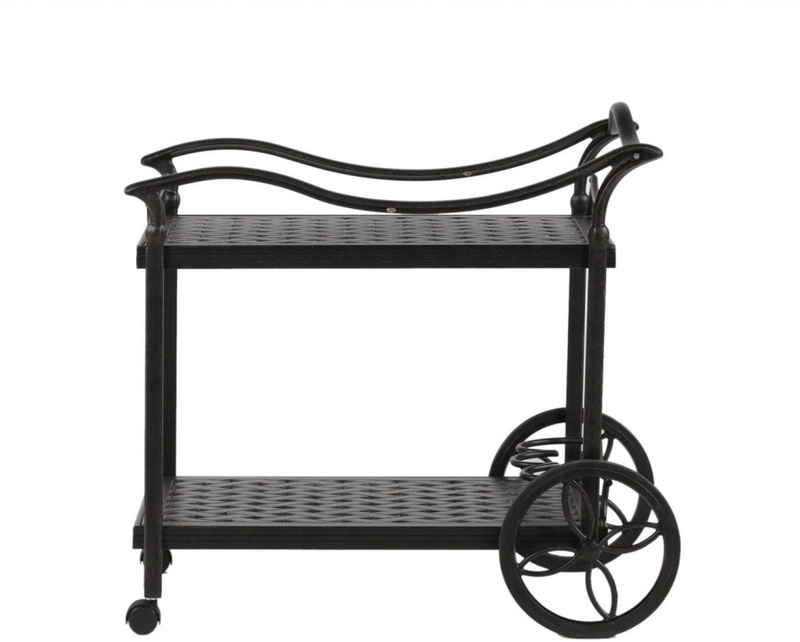 Seek out inexpensive furniture that can handle the elements. Great patio gear doesn’t need to cost an arm and a leg. 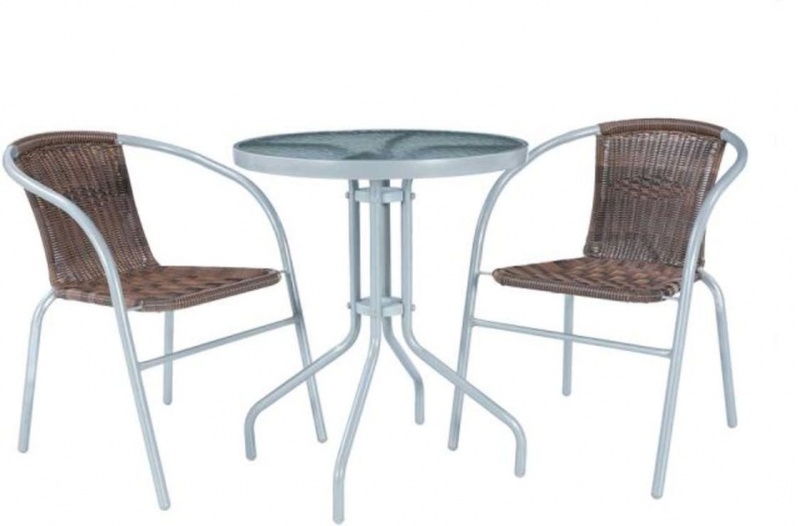 What you’re looking for is quality craftsmanship and maximum durability, so that you can keep your outdoor furniture going season after season. This Nostalgia Outdoor Cafe Set by Anthony California, Inc., harkens back to the good old days with waterfall glass, synthetic rattan seats and a clean white powder-coated aluminum frame built to withstand the elements. Plus, it’s totally adorable, with a charming price to match! 2. Spruce up your space with an outdoor rug. Want to turn your patio into a hangout as cozy as your living room? Invest in a large outdoor rug, which boosts comfort levels while also adding a pop of color and texture to an otherwise drab outdoor space. This Cabana Graphite Rug from Dalyn Rug Company is a great choice, thanks to a heavy loop pile construction that stands up to both weather and foot traffic—and looks great while doing it! 3. Accessorize with a mix of new and vintage items. The best way to conquer a drab patio is by changing your mindset: think of it as an extension of your indoor space, meant to be decorated and accessorized with the same level of creativity and care. Opt for a blend of colors and patterns that emphasize the natural landscape and can hold up to the weather (or, pro tip: keep a plastic tub of not-so-weather-friendly accessories in a closet by your backdoor to whip out when company comes). 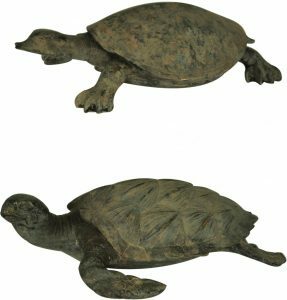 Scour local thrift stores for unique yard ornaments or funky dish sets, and supplement these with quirky-chic newer elements like this Rustic William Serving Tray from The Import Collection or this adorable Set of Tortoise Statues by Crestview. 4. Add unexpected, high-impact details like metal sculptures or colorful blankets used as tablecloths. Further funkify your outdoor space by adding artsy details most wouldn’t expect to find outside. Metal sculptures will stand up to the elements and provide interesting conversation pieces to boot. Try this Baroque Garden Arch or these Windy Woods Trees by Crestview. Have some colorful blankets or tapestries lying around? Use them as tablecloths to brighten up your next cookout. 5. Choose furniture that pulls double duty. The key to maximizing impact while minimizing price is selecting items that do more than one thing. 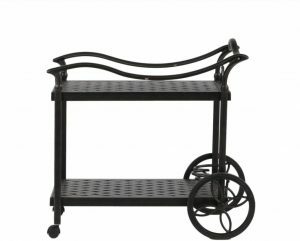 An outdoor-friendly tea cart like this Castlerock Tea Cart by Gathercraft can serve as an outdoor bar, an easy transport system for bringing burgers and condiments to the grill, a decorative display for plants or all three! 6. Two words: mood lighting. Perhaps the best way to give your patio a wallet-friendly upgrade is to invest in some good illumination. And we don’t mean the kind that costs a lot. A few strings of fairy lights or a well-placed set of candles will do the trick, instantly creating the kind of cozy, festive mood every patio aspires to. Boost your look with a fashionable set of candle holders, like this pair of coastal lanterns or this Nagina Lantern. Patio perfection: unlocked. The post How to decorate your patio without spending a fortune appeared first on Style & Flair Blog by Furniture Fair.